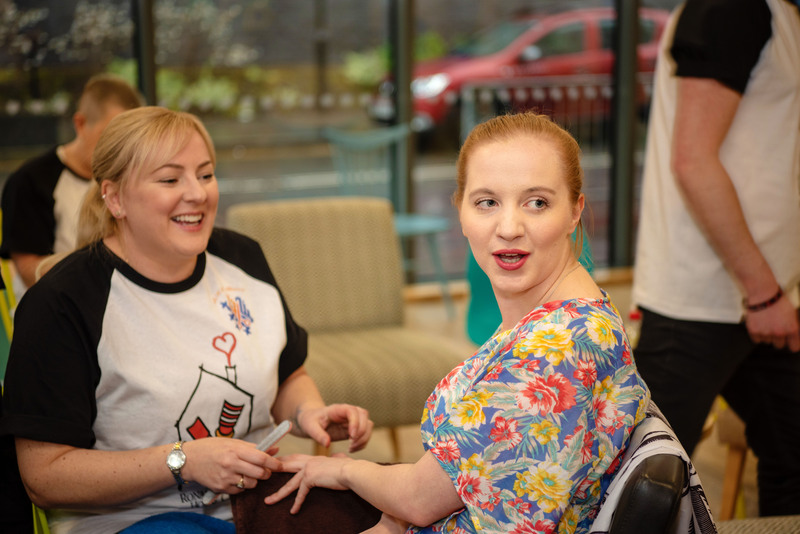 Thursday 4 April – This evening families staying at the Ronald McDonald House in Cardiff received a much-deserved pampering session from local barbers, hairdressers and beauticians. The families all have children receiving specialist medical care in Noah’s Ark Children’s Hospital, just opposite the House. Ronald McDonald House Charities UK is an independent charity which provides families with free accommodation just moments away from the hospital their child is being treated in. Often, the best medical care isn’t at the family’s local hospital, therefore families may have to travel great distances to specialist hospitals, which may mean costly hotel or travel bills and splitting the family unit. Ronald McDonald Houses are able to keep the entire family together.